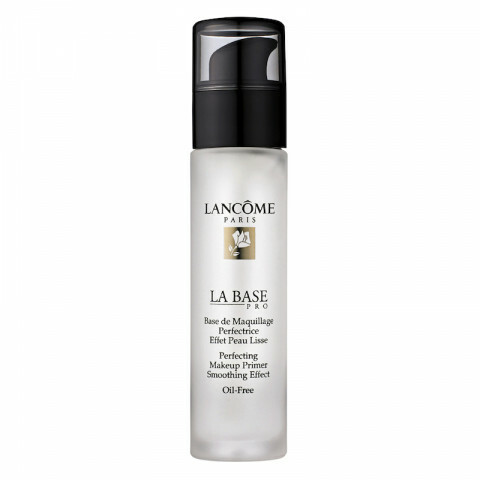 La Base Pro provides a refined skin texture by diffusing light to visibly reduce lines and imperfections, for noticably smoother skin. Lancme's exclusive Elasto-Smooth™ technology refines skin's texture and diffuses light to visibly reduce imperfections with a satiny-soft finish. Primer has very liquidy form that blends easily on face providing great base for foundation. It stays put quite well most of the day. Just because my face is oily it doesnt stay on all day and i still have to blot once a day, it still definitely makes a difference. This product is amazing! Perfect poreless make up application that'll last all day. this primer is amazing if you want to get that perfect, smooth and flawless foundation look. foundation lasts all day without looking cakey. Smooths face and primes for foundation. Makeup stays fresher longer! It has a silicone-y feel to it. This primer really does it's job. My makeup goes on smoothly and lasts all day however I took off one star because it has a more oily (silicone) consistency than others that work almost as well. I think this would be an amazing primer for someone with dry/aging skin.